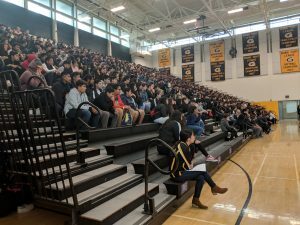 Grizzlies News · Mar 28 GODINEZ WELCOMES INCOMING FRESHMAN – CLASS OF 2023! They came from schools across Santa Ana Unified School District; Carr, MacArthur, Willard, Esqueda, Lathrop, Sierra, Reach, ALA, Heninger, Villa, Santiago, McFadden & Mendez. 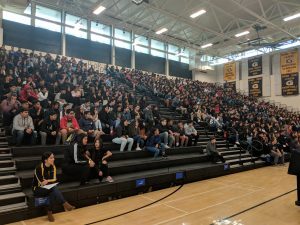 Approximately 600 incoming freshman (currently 8th graders) to learn about what their high school future at Godinez can hold for them. The Godinez family got together to showcase all the various extra-curricular opportunities available to them as a Grizzly to set the stage for freshman success! High school involvement needs to start in the freshman year as it sets the tone for the next 4 years to be successful. This is truly a fact! 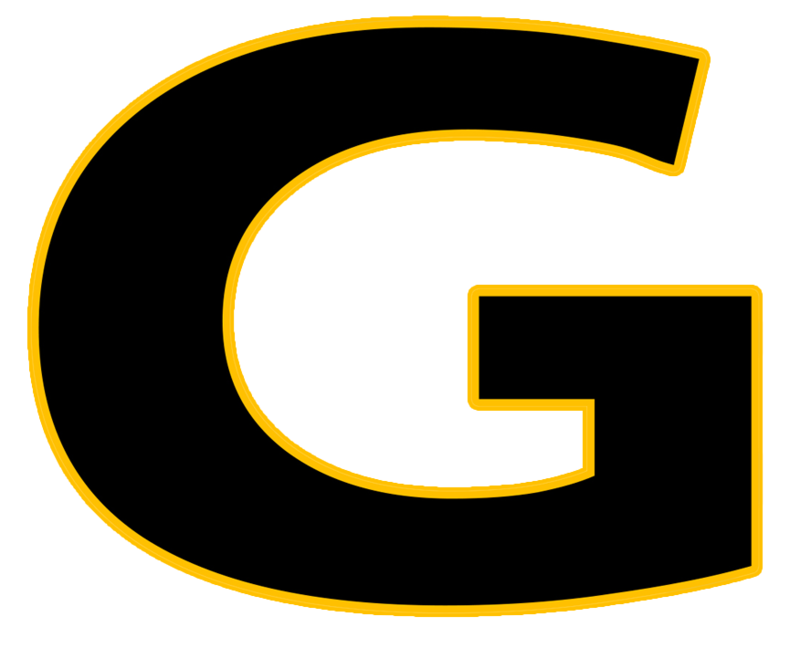 Students involved in Godinez activities have higher grade point averages, have a positive experience, set goals, have fun, and get on track for entry into better colleges. There were 4 stations that the new Grizzlies rotated through – 1)Theater, 2)Higher Ed Center, 3)Gym, 4)Griz Tour. The freshman were exposed to a lot of information during their time spent at Godinez. In the theater they were exposed to the Chamber Singers/Jazz Band/Mariachi/Drama/NJROTC groups performed and presented their information. 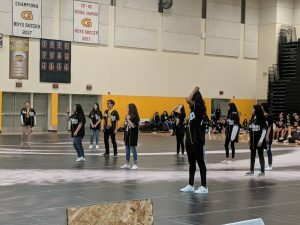 The Godinez gym was filled with more performances for the freshman and showcased ASB/Athletics/Stunt/Dance/Marching Band/Tall Flags. The Godinez counseling staff also met with them individually in the Higher Ed Center to discuss possible courses for the fall. And the ASB students took them on a general tour of the Godinez campus to get them familiar with where things are located at school. During the day’s events, the freshman listened to the information, were excited with anticipation about their high school experience and are now challenged with choices to make regarding what they will do. 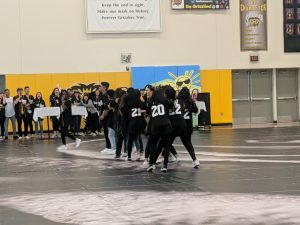 The frosh Grizzlies may be kind of overwhelmed by all the choices facing them, but the Godinez message was clear; getting involved in extra-curricular activities will help them be more successful in life and make high school fun! Many of the current Grizzlies that spoke to them echoed the praises of their invaluable experiences as a Godinez student, especially the family atmosphere and the positive established relationships made here on a daily basis through their extra-curricular involvement. There is no doubt that Godinez is a special place for students, staff and parents alike! 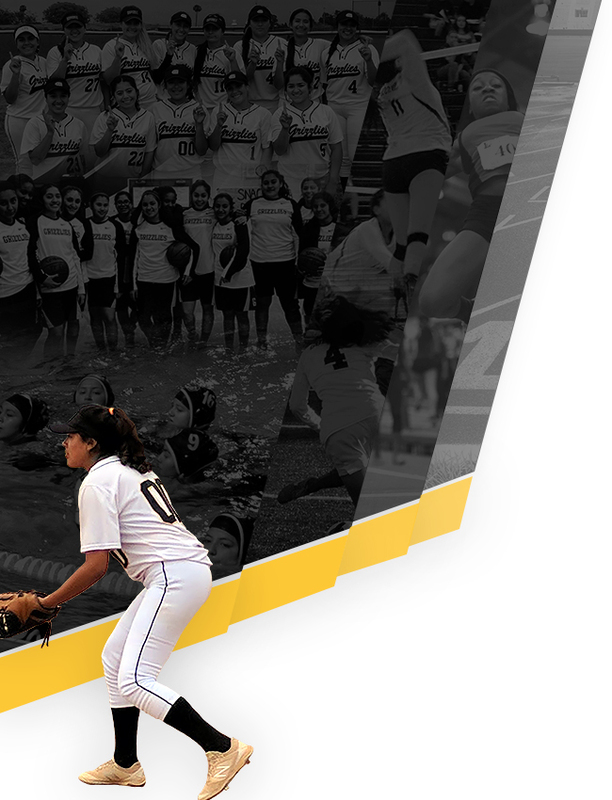 Our expectations always include being the best you can be and showing off your skills with character and grace as this is the Godinez way! Our school may not be very old, but what we have established focuses on high school student’s fundamental growth as a person through character building, academic hard work, and participation in our community. 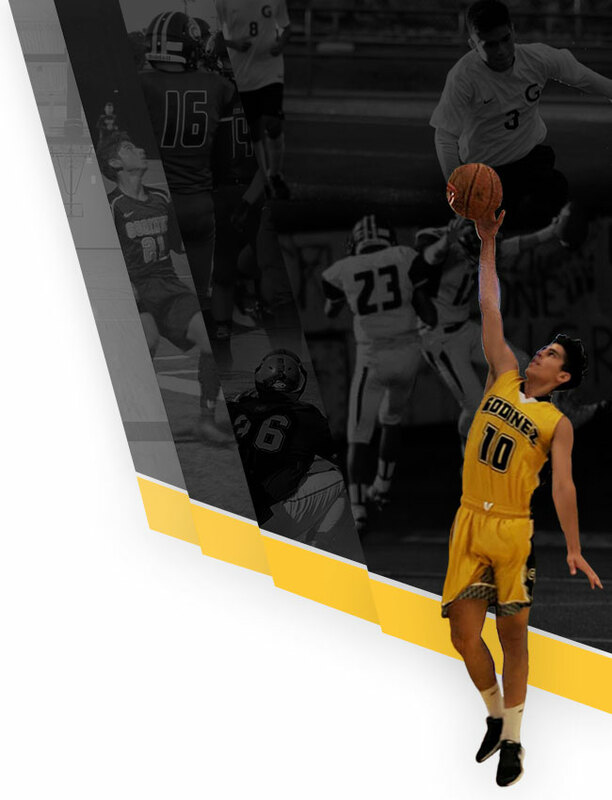 We look forward to the Class of 2023 bringing their efforts and becoming part of the Grizzly family!